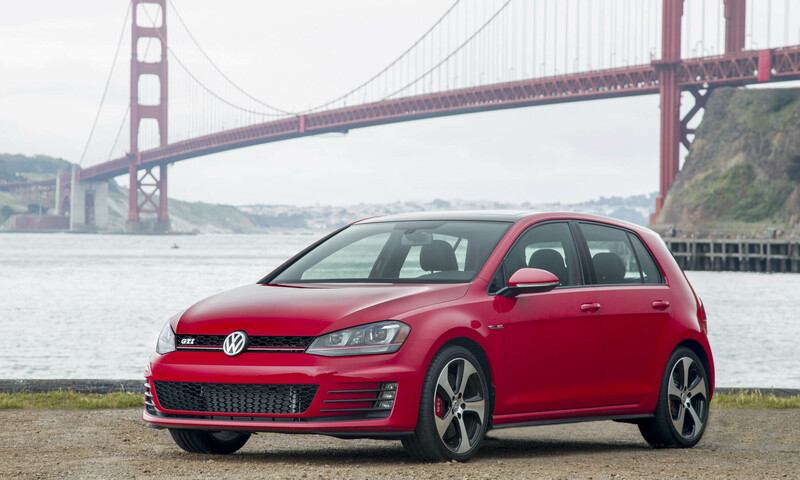 More than 40 years ago, Volkswagen introduced the GTI to America — at that time a high-performance version of the Volkswagen Rabbit — and the hot hatch segment was born in the USA. We’re now on the seventh generation of the GTI and it still fulfills expectations as an affordable, fun-to-drive, sporty hatchback. 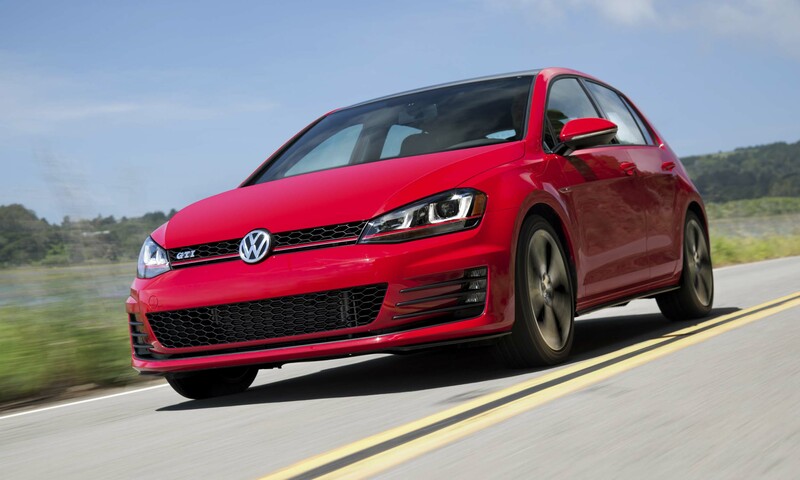 Available as a 2-door or 4-door, the GTI competes with vehicles such as the Subaru BRZ, MINI Cooper S, Ford Focus ST, Honda Civic Si and Nissan Sentra NISMO. 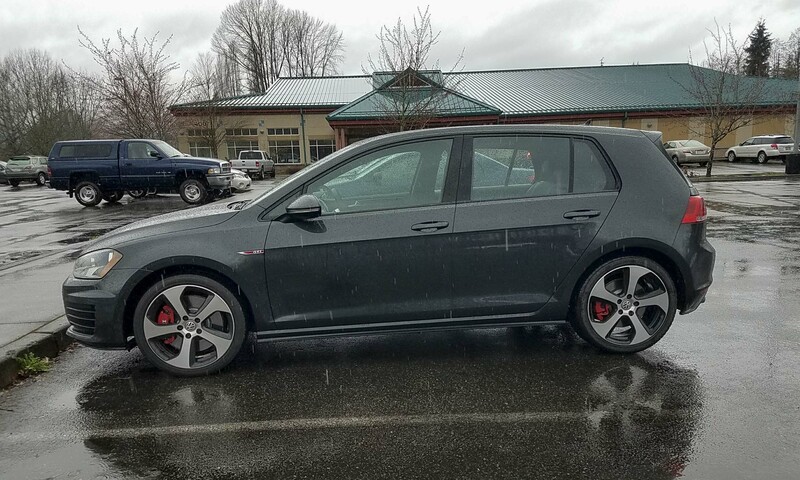 Our test vehicle was the 2017 Volkswagen Golf GTI SE four door. 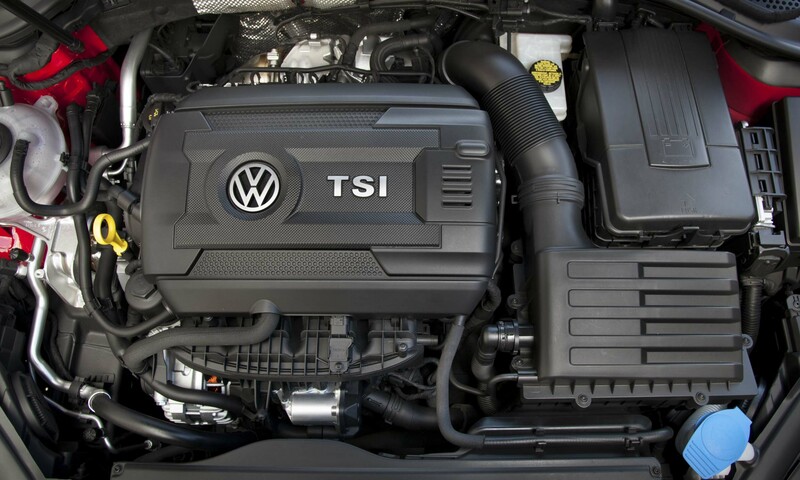 The SE now comes with the Performance Package as standard equipment, which includes brakes from the Golf R; an electronically-controlled, torque sensing, limited-slip differential; bi-Xenon headlights with LED running lights; and a 10-horsepower increase. 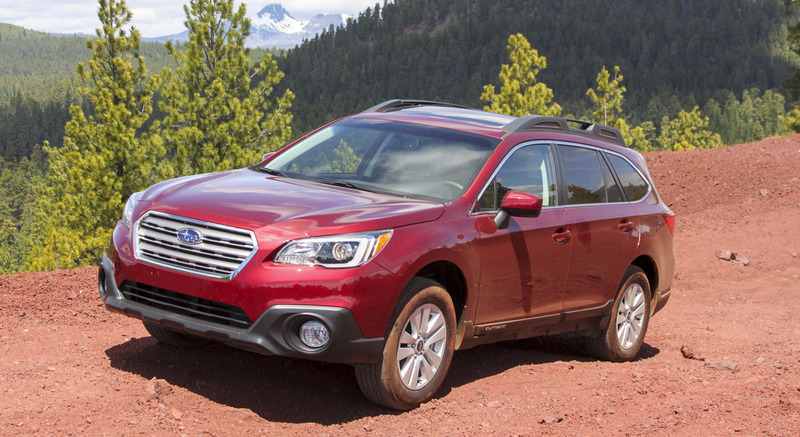 There were no factory options on our tester, which came in with a total MSRP of $30,715. With precise steering, excellent throttle and brake response, and a smooth-shifting manual transmission, the GTI is one of those cars that can slap a smile on a driver’s face within seconds of slipping behind the wheel and taking off. It just feels right. 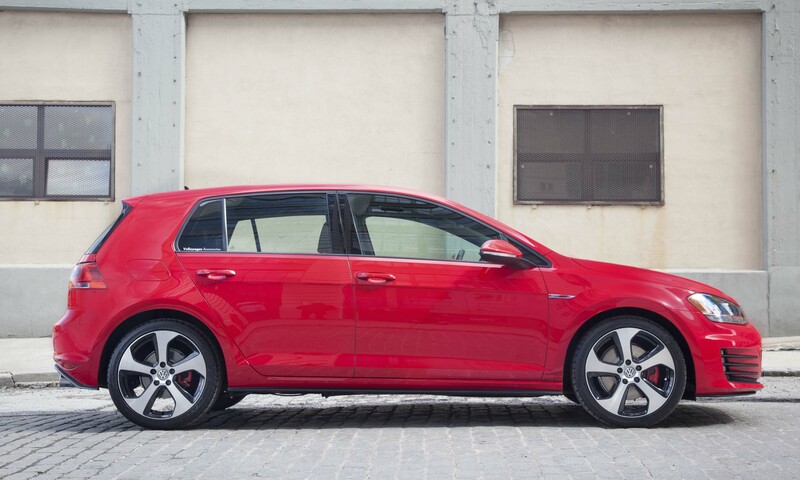 It may not be the most powerful car on the road, but the GTI has enough oomph to feel quick. 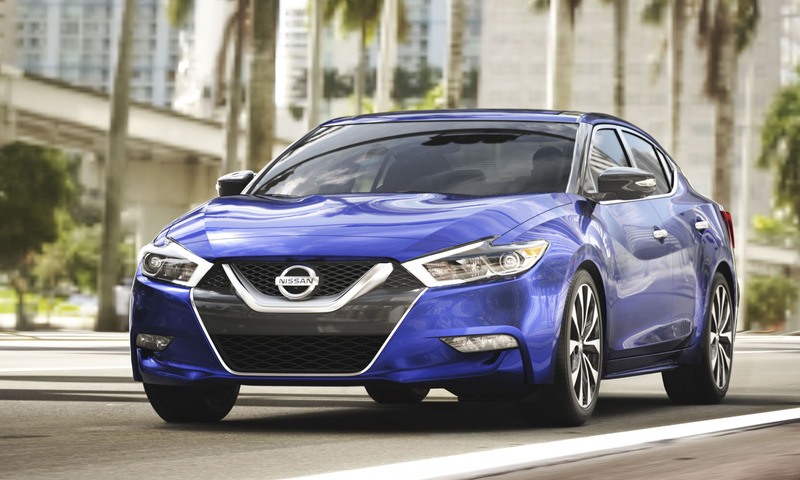 Enough in this case is 220 horsepower from a 2.0-liter turbocharged 4-cylinder engine. 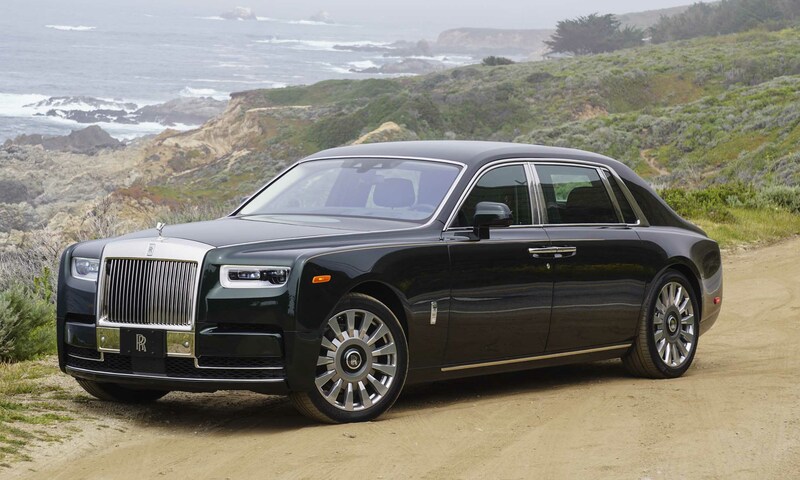 That quick feeling is greatly increased by the 258 lb-ft of torque available at a low 1500 rpm. 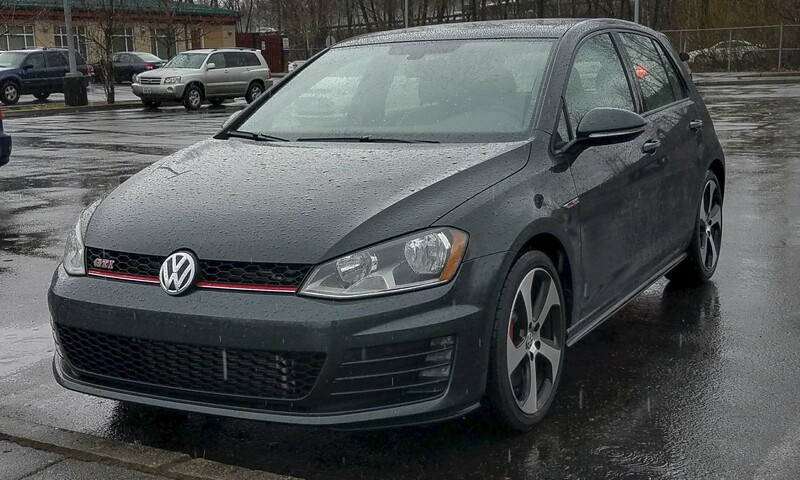 The number of vehicles available with manual gearboxes seems to be declining rapidly in America, but the GTI can still be configured with a 6-speed manual. 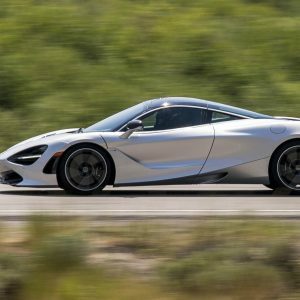 The clutch is rather quick to engage, but we were able to get accustomed to it rather quickly. 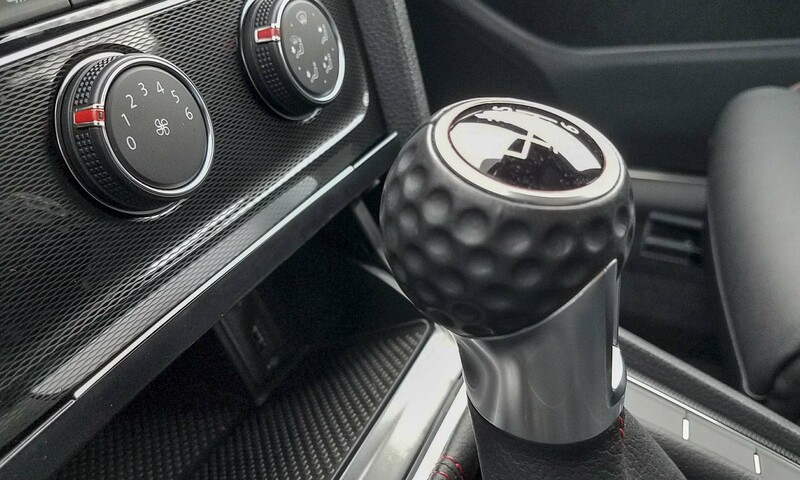 Shifting is smooth and satisfying – we really appreciate the modern take on the classic golf ball shifter. 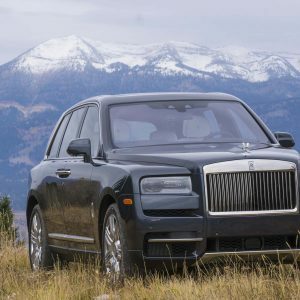 There’s always something fun about driving a car that possesses better performance than most folks realize. 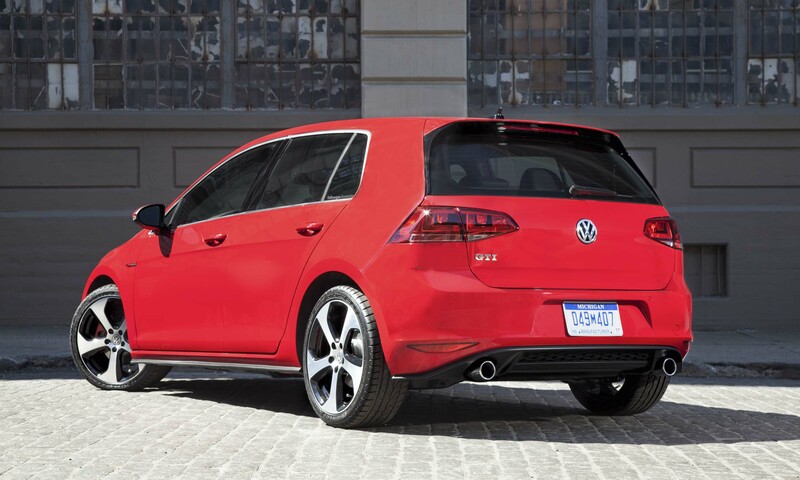 Unless you are in the know, the GTI looks like a basic Golf. 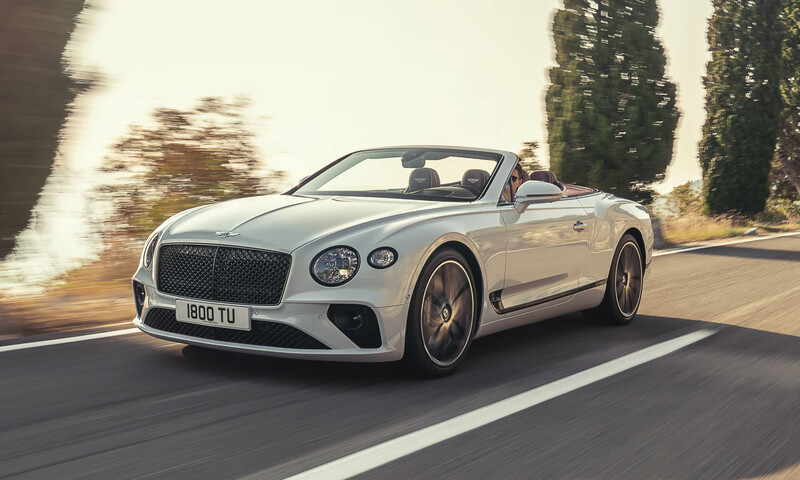 The cues — besides the GTI badging in the grille and on the back hatch — are a red pinstripe above the front bumper, dual exhaust, red brake calipers and special wheels. The GTI easily work as a daily driver. 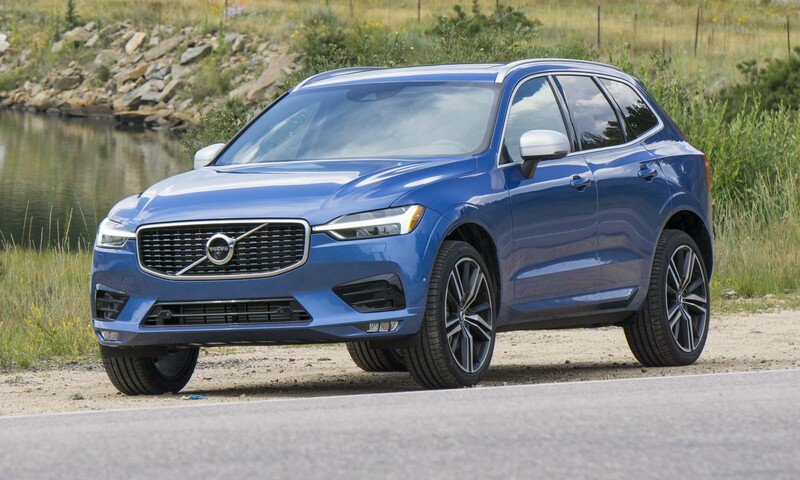 The rear seat offers a surprising amount of legroom — two adults can fit comfortably, although three might be a bit tight. 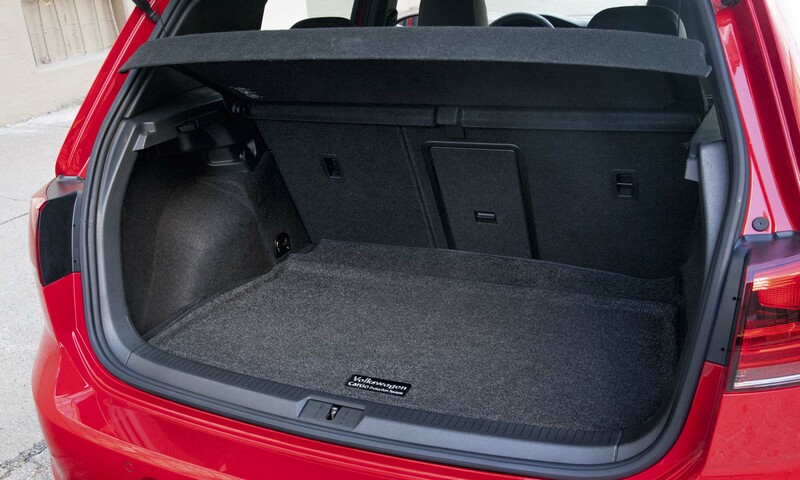 There’s also plenty of cargo space for luggage, groceries or whatever goodies you may discover along the way. According to the EPA, the GTI when equipped with the manual transmission is rated at 24 mpg city / 34 mpg highway / 28 mpg combined. Although we drove with a bit of a lead foot during our time with this peppy Golf, we still achieved 25 mpg in predominantly city driving — certainly a plus not having to sacrifice fuel economy while having a good time. The GTI interior has supportive sport seats in front with leather trim throughout. The easy-to-read display screen employs intuitive controls. Since it arrived without options, our tester had no navigation installed. The standard Fender premium audio system made our time in the car more enjoyable. Driving vehicles in the Seattle area translates into much time behind the wheel on rain-soaked roads. 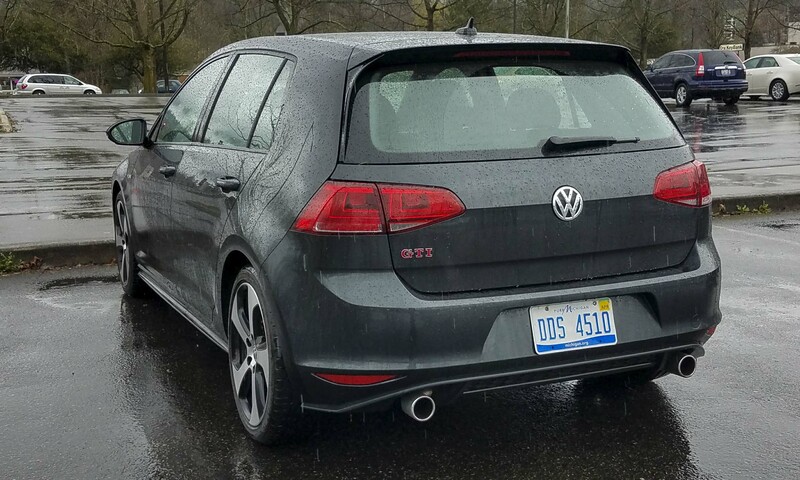 With 220 horses directed to the front wheels via a manual transmission, it was difficult to take advantage of the GTI’s performance on slick streets. 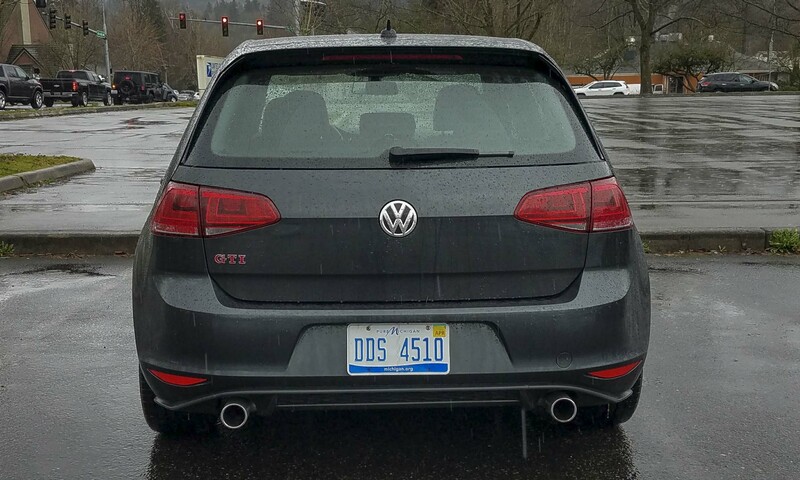 It may seem trivial, but Volkswagen hides the rearview camera behind the VW logo on the rear hatch. When shifting into reverse, the logo pops out to reveal the camera, then hides it again when it’s not in use. This means the camera lens stays clean in bad weather, which is a huge plus (especially in rainy Seattle) — on many vehicles the camera view can easily be obscured with dirt and water, rendering it rather useless. Volkswagen has done a great job of sticking with the original formula behind the GTI — taking a basic economy car and turning it into something fun. What we appreciate most about the Golf GTI is the excellent combination of performance and versatility — plenty of space for people and cargo without sacrificing joy behind the wheel. 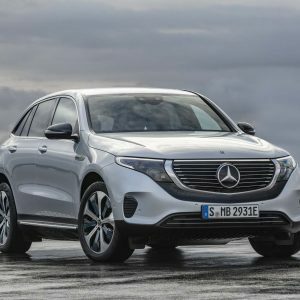 The affordable price and impressive fuel economy are a nice bonus.